Human Access Project and City Commissioner Steve Novick's office invites you to discover Portland's largest public space, the Willamette River. Walking connects places. It also allows people to explore the space in between the places. Many of us cross the Willamette River everyday over a variety of bridges. But we often neglect to stop and think about what is below, how to get there, or the power of the river to bring people together. The Willamette River is Portland’s largest public open space and its full of untapped potential. Join us on a walk to discover access points, public docks, and how to activate the next frontier of great public space. 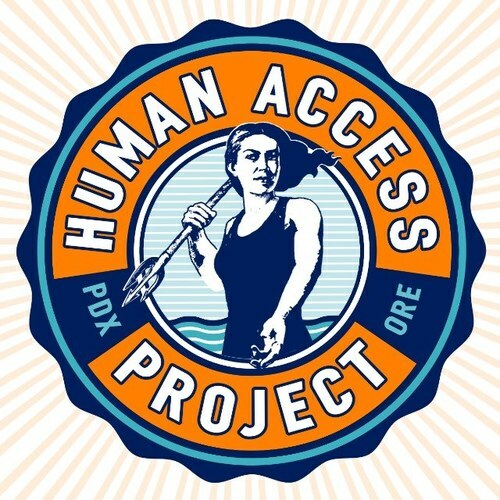 Join Willie Levenson, Ringleader of Human Access Project (HAP), as he talks about his not for profit’s mission work of transforming Portland’s relationship with its largest public open space: the Willamette River. Willie will talk about HAP's unconventional methods of change making from gathering thousands to innertube in downtown (The Big Float) to rebranding overlooked spaces and identifying, growing, and playing in the grey space of bureaucratic rules. Willie will be joined by Timur Ender, policy advisor for Portland City Commissioner Steve Novick. Timur is Commissioner Novick’s liaison to the Portland Bureau of Transportation and Portland Bureau of Emergency Management and often interacts with city issues relating to the river.